Pong joined SM Retail Inc. especially SM Supermarkets and Save More as Consultant in March 2012. He introduced store improvement plans that raised customer service standards, increased store efficiencies and generated higher sales. He champions professionalism and leadership/management development in the organization and advises on both strategy and operations.Prior to joining SM Retail Inc., Pong was with Unilever Philippines where he started as Methods Officer in the Finance function in May 1977 and later appointed as Projects Manager doing organizational and feasibility studies. He also handled various Sales roles in both the headquarters and in the customer/distributor interface before becoming General Sales Manager. He also held several positions in Unilever: Marketing/Sales Operations Manager in 1991, National Sales Operations Controller in Unilever China in October 1993, Deputy Head of Sales in Unilever Philippines in January 1997, Sales Director and member of the Board of Directors of Unilever Philippines in 1999, Head of the multi-functional Operations Committee in Unilever in 1999, and later on Team Leader for Asia, Unilever World Class Customer Development Community in 2001. His initiatives in the sales function especially in the general trade contributed significantly to tripling the business in five years and to raising the distribution coverage to about three times in five years, from 1997. As Sales Director, he supported the build-up of capability in Customer Marketing and Retail Solutions and strengthened considerably the Company’s relationship with modern retailers. Pong was elected Co-chair of ECR Philippines (Efficient Consumer Response), an industry organization that aimed to provide benefits for consumers, retailers, manufacturers and service providers from 1999-2001. He took the role of Managing Director in Unilever Korea in March 2008 until July 2011 and undertook a major restructuring of the business. 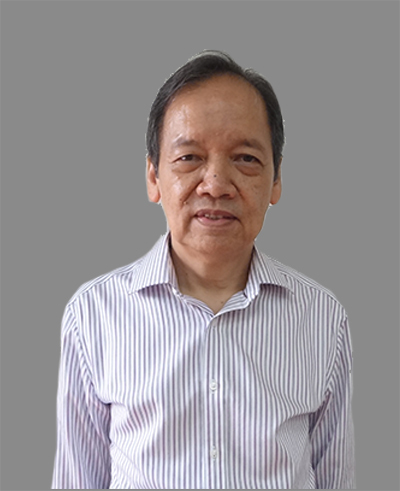 Pong graduated with a degree in BS Industrial Engineering from the University of the Philippines in 1977 and took the Advanced Executive Programme in Kellogg School of Management, Northwestern University, USA in 2005. 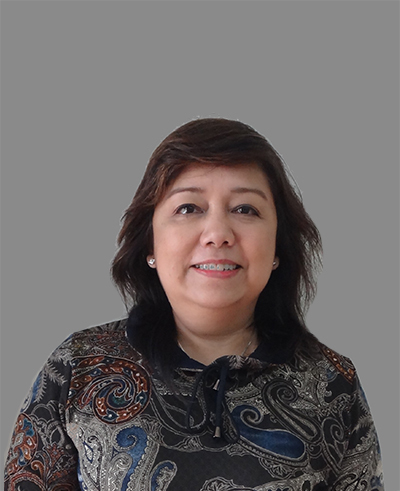 Elizabeth Pardo-Orbeta, or more known as Yvette, is the Chair of WenPhil Corporation, a Philippine Area Licensee of Wendy’s USA and Chair of the Philippine Franchise Association (PFA) 2013-2016, the voluntary self-regulating governing body for franchising in the Philippines. It is the country’s pioneer and largest franchise association with members ranging from micro to large, both homegrown and international, involved in food, retail, services and other types of businesses.Aside from being Chair of both Wendy’s and PFA, she is also the President of the following: PFA (2009-2013), Asian Holding Corporation, Ferguson Park Tower Corporation, Down Town Properties Inc., J & E Oversees Prime Holding Corporation, AccM Candy Shop Inc., and Casa Catalina Corp. She also serves as the Director of Electronic Realty Associates (ERA Philippines), Inc., ERA Real Estate Exchange, and DAJ Properties Holding Corp. She is also actively involved in De La Salle Santiago Zobel School – Parent’s Association as Board Member (2003-2004, 2006-2007, 2008-2009), as Board Chairman (2007-2008 and 2009-2010), as Board President (2010-2011, 2011-2012, and 2013-2014) and as Board Ex Officio (2012-2013 and 2014-2015). Yvette graduated with a degree on Bachelor of Science Major in Marketing and Management and Liberal Arts Major in Business Management from Assumption College, Makati City. She is also a Certified Franchise Executive (CFE). Chief Operating Officer Inquirer Publications, Inc.
Rene’s experience has been in increasing and sustaining growth profit in businesses he handled. In Inquirer, he initiated business opportunities that has sustained business growth over the last 28 years.He is the forefront of creating more business opportunities for Inquirer in multimedia portfolio platform selling that has given clients more alternative solutions to advertising and marketing their goods and services. Rene is currently the President and a member of the board of directors of DAGXpress Courier, Inc. since Jan 2012 – an affiliate of PDI that caters to the logistical requirements of print publications and other products like credit cards, statement of accounts and parcels. He is also the Chief Operating Officer of Philippine Daily Inquirer starting November 2012 managing the operational aspects of the company and is also Sr. Vice President for Sales and Marketing. Previous to this, he handled various positions in PDI from 1986 to 1999 : Circulation Assistant, Provincial Circulation Manager, Advertising Manager, Vice President Marketing and Vice President Circulation. Concurrent to his position in DAGXpress and PDI, Rene is also the Chief Operating Officer of Inquirer Publications, Inc. since June 2013 and Director since September 2006. 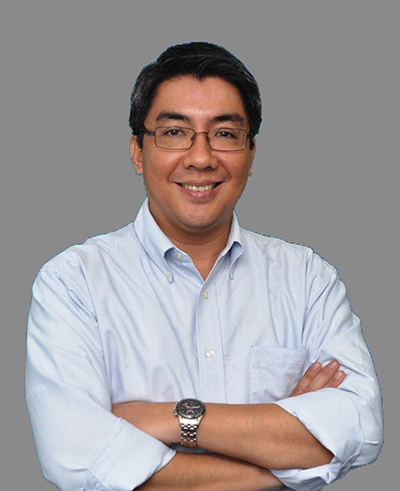 His role as COO is to grow the business for Bandera and Cebu Daily News, Inc. Prior to Inquirer, he worked as Circulation Assistant in Bulletin Publishing Corp. from 1982 to 1985 assigned to champion Tempo. He graduated from the University of the Philippines with a degree in Business Economics in 1982. He took his Master of Science in Economics in De La Salle University Graduate School of Business and Economics and later on had his MBA in Murdoch University in Perth, Western Australia.